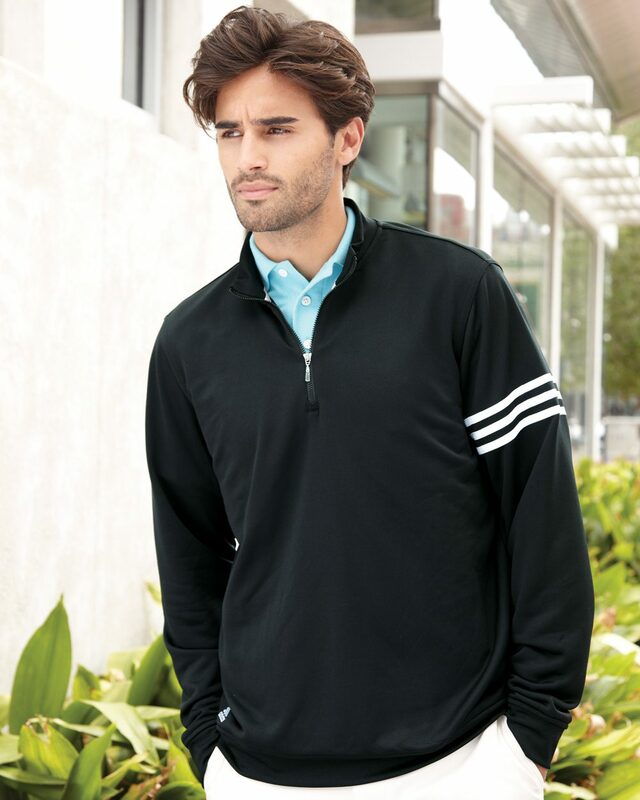 Adidas - ClimaLite Three-Stripe French Terry Pullover (A190) 6.3 oz., 100% polyester french terry. Rib-knit mock collar, cuffs, and bottom. Contrast three-stripes self-fabric detail on left sleeve. Contrast adidas performance logo on bottom right hem.